Military professionals of all ranks and pay grades face a unique situation when the time comes to transition to a civilian career path. A military career encompasses a wide range of skill sets and experiences, but often times it can be difficult to identify those details that translate most powerfully into a civilian resume. Sometimes it can be hard work just to translate military skill sets and experiences into civilian terminology! Expert Business & Professional Services is uniquely aware of the needs of transitioning military professionals. 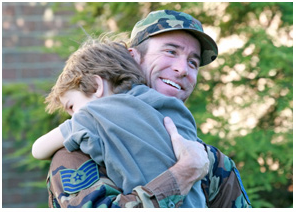 Our Military to Civilian Transition Services are priced at a 15% discount compared to our professional resume services in honor of and thanks for your service on behalf of Expert Business and our professional staff. It is our pleasure to serve those who have served this country so bravely. Since every client is so unique and are at different levels, our military resume and LinkedIn profile pricing varies depending on the amount of time and work involved for our professional writers. The cost of writing a military resume or LinkedIn profile is based on a number of individualized factors such as your field of endeavor, level of the position you seek, years of experience, and complexity of writing the document or profile. Please call for a FREE Quick Quote for your specific needs. Many Expenses are Tax Deductible. Consult Your Tax Advisor for Specific Details. Does your military resume or LinkedIn profile effectively reflect the type of candidate you are? If it doesn’t, order a complete rewrite of your military resume or LinkedIn profile. © 2019, Expert Business & Professional Services, Inc. All rights reserved.